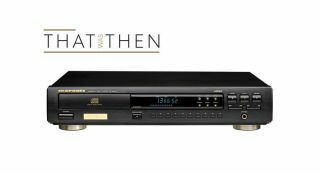 That Was Then… Marantz CD-63 MkII KI Signature | What Hi-Fi? Can this turbo-charged CD player still stir our souls 22 years on? Tweaking has been embedded into hi-fi culture from the very beginning. Ever since manufacturers started listening to rather than just measuring their kit, it has been a fundamental element of product development. Swapping a capacitor here, fine-tuning the power supply, damping the casework or even just changing the quality of connections can all make huge differences – something Marantz knows all too well. The company has long been a master of the process. Through the 1990s it made an art form of transforming basic budget CD players into giant-killers with the help of some strategic upgrades. The CD-63 MkII KI-Signature is arguably the company’s finest moment. Back in 1996, Marantz had already churned out a stream of affordable modified CD players. It had (over-) used all the usual designations – Mk2 and Special Edition – and was looking for something different to call its latest hot-rodded CD-63 variant. The ‘KI’ refers to the company’s technical guru, Ken Ishiwata, and the CD-63 MkII KI Signature was pretty much the player he would make for himself. The great thing for Marantz was that everyone else loved it too. The KI had a great platform to build from. The basic CD-63 was already a class leader at its sub-£300 price. It used Philips’s slim CDM-12.1 transport mechanism and a single bit DAC from NPC called the SM5872. The engineers took a great deal of care designing the analogue output stage, using the company’s premium HDAM (Hyper Dynamic Amplifier Module) circuitry to preserve signal integrity. The MkII upgrades of the basic CD-63 had already introduced a better mains transformer and copper plating to the HDAM circuitry to improve interference rejection. The KI-Signature mods went further, almost doubling the price from the standard version’s £270 to £500. That’s a hefty jump for something that looks pretty much the same apart from a new badge on the front. But look inside and you’ll find the chassis reinforced and copper-plated to reduce resonance, the flow of eddy currents and improve earthing. A premium quality toroidal transformer replaces the already superior standard item in a bid to improve bass while cutting flux leakage and vibration. While the basic CD-63 chassis was made in the company’s factory in Japan, the KI Signature was assembled in the UK with each player tested for 48 hours before being packaged for sale. In 1996, we were so impressed by the KI that we thought a traditional First Test wasn’t enough. Instead we gave the product its own spread in the magazine. We didn’t hold back in the review either, using words like “awesome”, “phenomenal” and “barnstormer”, equating large parts of the player’s performance to the very best available. It’s fair to say we liked it a lot. Listen to one today – Marantz was kind enough to supply a sample – and it’s easy to understand why we got so excited. The Signature delivers a wonderfully bold and fluid sound. Its solid midrange takes the limelight with a charismatic combination of body, warmth and articulation. There are no rough edges here, just a refined and fluid presentation that puts us in mind of good quality valve-powered electrical circuits. Most players of the day would have sounded thin, insubstantial and sterile in comparison. This player still sounds right at home across a wide range of music. It has enough attack and agility to make listening to Undun by The Roots a pleasure. While smooth enough to round off some of the recording’s edges, there’s still plenty of excitement, and the ability to drop down a gear or two when the music demands. Voices come through with passion while dynamic shifts are communicated with conviction. These same qualities are valuable when it comes to the classical symphonies of Beethoven or the jazz of Miles Davis’ Kind Of Blue. The Marantz gets to the heart of music such as this and refuses to sound confused or disorganised when the material becomes demanding. It’s a fine performance for a CD player that’s decades old. It’s still pleasing in other ways too. While the front panel is covered with buttons of different shapes and sizes, the KI remains nice to use right down to the clarity of its display and the slick movement of its disc drawer. When it comes to build and finish, this is as good as any product around £500 that we’ve had through our doors in recent years. This becomes even more apparent when we wheel out our current favourite in this part of the market, Marantz’s CD6006 UK Edition. The company’s long-running dominance in this part of the market is truly astonishing when you think about it. There’s little to choose between the two in build, apart from the newer player’s larger chassis and cleaner, more elegant styling. The feature count hasn’t changed much over the years either, apart from the inclusion of a USB (type A) socket on the current player. What has changed is the sound. The KI-Signature pleases in its own right, but its limitations shine through when compared to its younger relative. The new player delivers a level of clarity, precision and detail that the CD-63 fails to reach. We become aware of subtle instrumental textures and nuances in voices that the older player simply glosses over. The story is the same with rhythmic precision and dynamic finesse. In each of these areas the CD6006 UK Edition pulls ahead. It seems that when it comes to CD players (and we suspect the same would be true of most digital products), things have never been better. Where does that leave the CD-63 KI? In our view it remains an enjoyable and capable performer. Sure, the best current players can beat its performance almost everywhere, but that’s not the point. We would no more damn the KI for that than we would complain if a classic car failed to reach current standards in drivability. The question is whether this player remains a special proposition, whether it still manages to stir the soul – and in our opinion it does. Its presentation is so full of colour and life that it’s hard not to get enthralled by the music. That, in the end, is what great hi-fi is all about.